Pete Hanson School of Motoring Offering a wide range of driving services, including both Male and Female instructors. I passed my driving test in 2000 and loved driving from the start! In 2003, I passed my advanced driving test with the IAM (Institute of Advanced Motorists), and went on to qualify as Observer in 2004 and Senior Observer in 2005. I’m still involved with the Warrington group of the IAM as an Observer, and have successfully coached a number of people through both the L-test and Advanced driving tests. In 2006, I took the RoSPA Advanced driving test and passed achieving the gold award. I still hold gold standard after successfully completing the regular retests required to maintain the qualification. In 2013, I took the DIAmond advanced driving test, and then went on to pass the DIAmond Special Assessment driving test in 2015. In 2016, I completed the IAM Masters advanced driving test, achieving a Distinction pass for my drive. According to the IAM Roadsmart website, this qualification is the highest standard of civilian driving ability in the Country. I also undertook a retest of my IAM advanced test in 2017, and was awarded a F1rst, an award which was not available when I took my IAM advanced test in 2003. In 2012, I finally gave into the inevitable and qualified as a driving instructor. I did all my instructor training with Pete and passed all three elements of the qualification first time. I’m very patient and calm, and aim to create a positive environment to support you whilst you are learning. I’m a member of the South Manchester Driving Instructor Association and am a registered Pass Plus instructor. For me, the key to becoming a skilful driver (either when preparing for an L-test or an advanced driving test) is forward observation, planning and anticipation skills. Very quickly, you’ll learn how to deal with hazards, but the ability to read the road ahead and to plan early for what is happening further up the road is the key to ensuring not only safety, but also the smoothness and stability of the car and to developing confidence in your own driving skills. These three skills are therefore at the cornerstones of your lessons, and will continue to develop as you gain more experience on the road. >> Click Here for our Terms and Conditions. Our driving instructors Pete, Fiona and Karen provide driving lessons across Cheshire in areas such as Lymm, Dunham, Warrington, Grappenhall, Appleton, Walton etc. 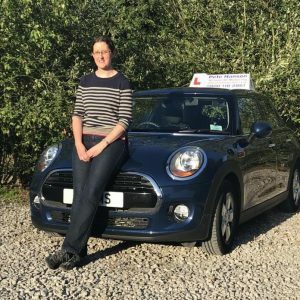 We help learners prepare for both their theory and practical tests as well as offering help once they have passed their test with Pass Plus, Motorway lessons, refresher lessons etc. We offer a pick up and drop off service and a wealth of driving experience during every lesson. Our prices are competitive & excellent value for money and we’ll give you a discount for a block booking. More info can be found on our Contact Page. Copyright © 2015, Pete Hanson School of Motoring. All Rights Reserved.